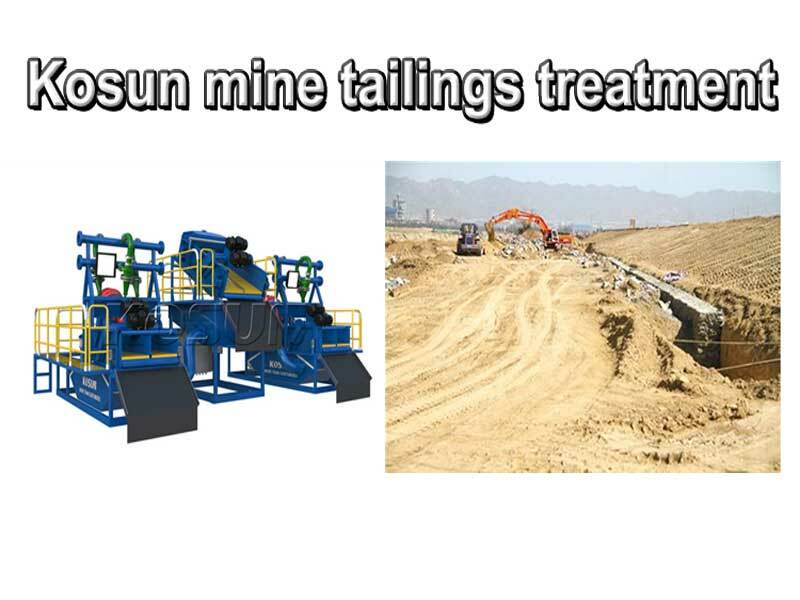 Mine tailings treatment,Mine tailings management,Mine tailings treatment equipment,Mine tailings treatment system. With the development of economy, the demand for mineral products increased significantly, the scale of mining development increased, resulting in the number of beneficiation tailings will continue to increase; coupled with the number of available metal ore grade is decreasing, in order to meet the growing mineral products Demand, the scale of mineral processing is increasing, so the number of beneficiation tailings will also be a substantial increase, and a large number of tailings, to the mining, the environment and the economy caused a lot of problems. So how to deal with tailings? What are the tailings treatment? 2, tailings water reuse. In order to reduce the consumption of fresh water and tailings water emissions, to reduce the tailings of the water pollution, tailings water reuse to pay attention. 3, tailings water purification. Drainage to the tailings of the plant, if the impurity content exceeds the national health standards, tailings water must be purified after the discharge. Tailings Treatment System The surface coating is durable and ensures that the system is used in applications where wear and corrosion are large. (3) tailings centrifuge without filter cloth, do not have to backwash water, can be applied to a variety of materials to choose the actual situation. Applicable to all kinds of tailings mud treatment, slime dehydration, washed quartz sand, construction mud dehydration, washing field sand field mud sludge treatment. The general concentration of 18% -30% of the tailings slurry, after my company’s tailings treatment system after treatment, tailings sludge moisture content of 10% -30%, and even some coarse sand tailings can reach 10% Fully meet the tailings dry pile, the treated water is clear and transparent (optional flocculant) to achieve the standard of recycling. Mine Tailings Treatment Plants play a very important role in protecting environmental. Tailings can not be arbitrarily discarded, concentrator tailings treatment not only with environmental protection, rational use of resources related issues, but also related to legal issues. 1. We must first try to do a good job of useful components of tailings recycling, the use of advanced technology and reasonable process for re-election tailings, the maximum recovery of useful components in the tailings, so Can be further reduced the number of tailings. 2. Tailings for mining underground mining mined areas of the filling material, that is, water sand filling material or cemented filling of the tailings as a goaf filling material used, the best filling The process is full tailings filling process, but is still in the experimental research stage. In the production are used in the tailings of the coarse-grained part of the mined-out area of ​​the filler material. Section of the grading, the coarse sand part of the underground mined-out area, and the fine part of the pile into the tailings reservoir .This tailings treatment methods have been applied at home and abroad. 3. With tailings as building materials, raw materials: Production of cement, silicate tailings brick, tile, aerated concrete, cast stone, refractories, glass, ceramsite, concrete aggregate, glass-ceramic, slag tiles, foam glass and foam, etc. 4. Sand construction road, road surface material , Anti-skid materials, coastal fields, etc. 5. In the tailings accumulation field soil cultivation, planting crops or afforestation . 6. The tailings in the tailings of specialized construction of the tailings, which is the majority of the most widely used We need to know about the ball mill information, ball mill knowledge, consult the price of the ball mill, please contact Henan Gongyi emerging machinery factory. Our company has been to provide customers with high quality and efficient service. Our service intimate, well-made, the price of the Heart, so that customers “Customer-oriented” to provide customers with a comprehensive overall service; “to serve as the core” for customers tailored to create the most valuable products. “Quality as the focus”, full service to customers! Mine tailings treatment is based on the size of tailings, graded treatment, graded use, that is, the hydrocyclone graded coarse sand (about 40%) filling the underground goaf and tail sand filling filling column, efficient centrifugation Filter filter, the dry sand stacked in the vicinity of the plant on the hillside, and the cover soil. In the sedimentation tank, sewage treatment tank for secondary sewage treatment of 70 ~ 80% of the tailings water back to the plant re-use. The invention uses the small overflow dam of the sedimentation tank and the sewage treatment tank instead of the traditional tailings dam. Tailings are the least valuable part of the target component in the beneficiation operation and are no longer suitable for sorting under current economic conditions. With the socio-economic and sorting technology development, tailings in the useful components can also be further recycling. While the other components in the tailings are not completely useless waste, according to its nature and composition can be comprehensive utilization, to achieve non-waste emissions, which is the full use of resources and environmental protection common requirements. Tailings are misplaced resources, and their harmfulness is caused by improper handling. The hazards of tailings are mainly reflected in the harmfulness of elements and the harm of solid waste. The harmfulness of the elements is the flotation agent ions and other ions in the tailings. With the flow of water and air into the surrounding environment, it causes serious environmental pollution The tailings are the main components of industrial solid waste, and the accumulation of tailings is caused by the accumulation of land, vegetation destruction, land degradation, desertification and dust pollution, water pollution and so on. 3. The tailings for finishing, the production of high value-added building decoration materials; 4. Temporary can not use the tailings as ecological restoration materials for ecological restoration and reconstruction. 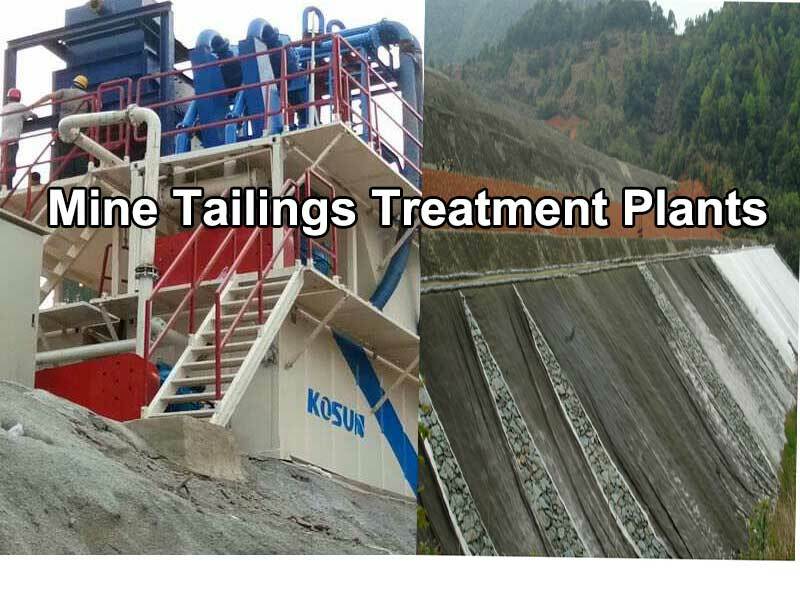 Mine tailings treatment units, (or mine tailings treatment plants, mine tailings treatment stations) help mine owners manage the tailings of the mine and broaden the wastes usage, lower the fees of unused staff and finally contribute to our environment protection work. After editor browse the web, we conclude the following sites with a form of mine tailings treatment plants list here. 1, Evoqua. A water treatment company with worldwide branches like offices in Australia, Canada, and etc. And the mine tailings treatment is just one sub brand service of them, and they said eighty-five percent of the U.S. population (and most of the U.S. industrial base) is located less than a 2-hour drive from an Evoqua Water Technologies service branch. 2, Golder. A Canada started group which founded in 1960, with over 180 offices on six continents. Mainly doing services about ground engineering. And they offer design, build, operate, and close mine waste management facilities in recent website notes. 3, SRK. Founded in 1974, and it can be found at their site that now employs more than 1,400 professionals internationally in over 45 offices on 6 continents. They offers services from exploration through feasibility, mine planning, and production to mine closure. If you are interested in consulting , maybe they would be your helper. and mine tailings treatment can be ground in tailings and mine waste engineering solution. 4, Jones & Wagener. Founded in 1966, its a south Africa based company, which have confident in structural and geotechnical engineering consulting. They considering aspects from planning and design through to construction, operation, closure and rehabilitation when dealing with cases related with mine tailings treatment service. They can give good suggestions although are not mine tailings treatment plants. 5, Kosun. Founded in 1992, its a China based group, mainly doing manufacturing and solution providing services, with oilfield drilling mud recycling, slurry separation units, and slurry waste management in many industries like infrastructure, mine tailings treatment and etc. Good quality and competitive price is their best part. May the list would helpful to anyone who interested with the treatment of mine tailings.